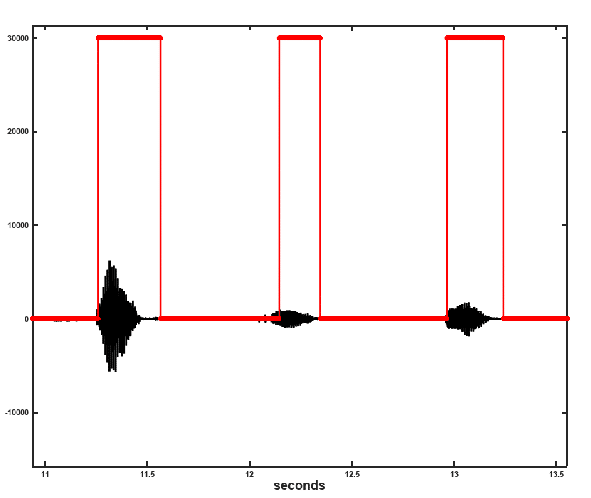 In almost all online sound signal processing, a voice activity detector, VAD, is utilized to limit the the use of the expensive computational time to frames which have high likelihood of acoustic signal presence. There are various means of detecting the presence or otherwise of an acoustic source. Most algorithms invariably end up being a pseudo measure of the energy levels present in the frames. We present an approach based of hypothesis testing by using the stochastic characteristics of noise and the acoustic signals. Our approach ends up limiting the need for keeping track of the signal to noise ratio. The value of the noise variance, , can be computed at the initiation point and may also be updated intermittently or otherwise. The performance using a one-off static noise variance estimate is shown in Figure 1 below.